shadow” align=”” class=”” width=””]We Provide Stickers Printing Services in Islamabad, Pakistan. Very High Quality Stickers Printing Services In Low Prices. 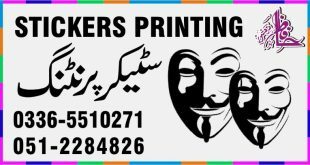 Islamabad Best Printing Press.